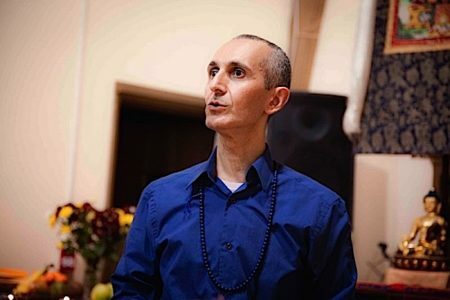 In a hard-hitting, frank interview, (originally posted on Buddha Weekly Magazine) Meditation teacher Theodore Tsaousidis — a well-known meditation teacher in Ontario — discusses the role of meditation in mental illness, cognitive decline, and general health. He points out, for example that clinical depression, delusional behavior and some other mental health issues may not benefit from meditation. On the other hand, cognitive issues can strongly benefit from mindfulness and other meditations. People with some forms of psychosis might want to avoid visualization practices, he says. He also discusses teacher-student relationships, and how to know when to challenge a teacher’s advice. 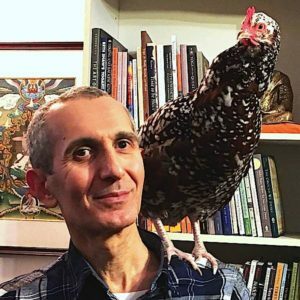 With a strong teaching focus on practical healing meditations, Theodore Tsaousidis is one of the most unique Buddhist teachers we’ve interviewed. Although he teaches in the Tibetan Buddhist tradition — invited by his guru — he also coaches mindfulness meditation and has studie with the same Zen Master for the last 35 years. He compliments and strengthens his teachings by embracing world healing traditions and is influenced by his strong roots in rural Greek shamanism. He was immersed in traditional healing practices from a young age in Greece, something of a family tradition. BW: Many Buddhists say meditation is good for everything. Do you agree? Theodore: No. Sometimes, traditional Buddhist teachers and novice mindfulness teachers feel that meditation is the cure for mental health and all problems. I have seen first-hand that this is not the case. I think that meditation can be harmful, for example, for someone with paranoid tendencies or severe psychosis or deep trauma or anyone who struggles with addictions — in the sense that they are looking for external maladaptive ways to calm inner turmoil. In these instances, certain aspects of meditation can be harmful and other aspects beneficial. The challenge here is to recognize what will help the person in front of you. There is no cookie-cutter approach. Sometimes telling a person to be mindful of their feelings, to “just feel what they feel” can push someone over the edge. It concerns me that mindfulness has become a buzzword and a watered-down version of what it truly is and can be. BW: Why do you think so many people with mental health issues are drawn to meditation? Theodore: I think that people with mental health issues are attracted to meditation and are attracted to Buddhism for different reasons. For example, when your external world is erratic and out of control, you naturally gravitate to something that you think can calm that turmoil because this is something you think you can grab onto. And this doesn’t just apply to Buddhism and other religions, but to external things like sports, technology, gadgets, and social media. There are many reasons why certain personality types are susceptible or attracted to isms or addictions. But really, all of this is just another distraction, unless you are committed to mindfulness meditation and have an understanding that this is more than just “breathing”, “getting calmer” or “feeling good” for awhile. If not, it’s really just a false sense of control or fix for a limited time. Yes, it can be helpful especially for acute situations but really, you are only delaying the inevitable and even inadvertently strengthening what you are trying to transform and heal. BW: What’s the difference between mindfulness for spiritual growth and mindfulness as therapy? Theodore: Most people, and even many mindfulness teachers, forget, or are simply unaware that mindfulness meditation came from a Buddhist practice which is focused on “spiritual growth” (for lack of a better words). The ultimate point of mindfulness is to help us understand who we are in essence. Generally speaking, without this understanding, people who practice mindfulness meditation solely for health and well-being, and especially for long periods of time without guidance of an experienced teacher, may run into experiences that are beyond their normal ability to process, and this can cause a lot of mental disruption. Although, in saying all this, I have accepted people in my mindfulness classes who had the diagnosis of psychosis. However, they were under the care of a counsellor and a MD and were taking medications to keep them in balance. I also modified the practices for them. Generally speaking though, I do not recommend any type of meditation for those experiencing this kind of mental illness. BW: Would you recommend mindfulness practice for someone who is clinically depressed? Theodore: I suggest they don’t do it, at least not without skilled guidance. It’s not really about recommending, it’s about what aspects of mindfulness to recommend or try. 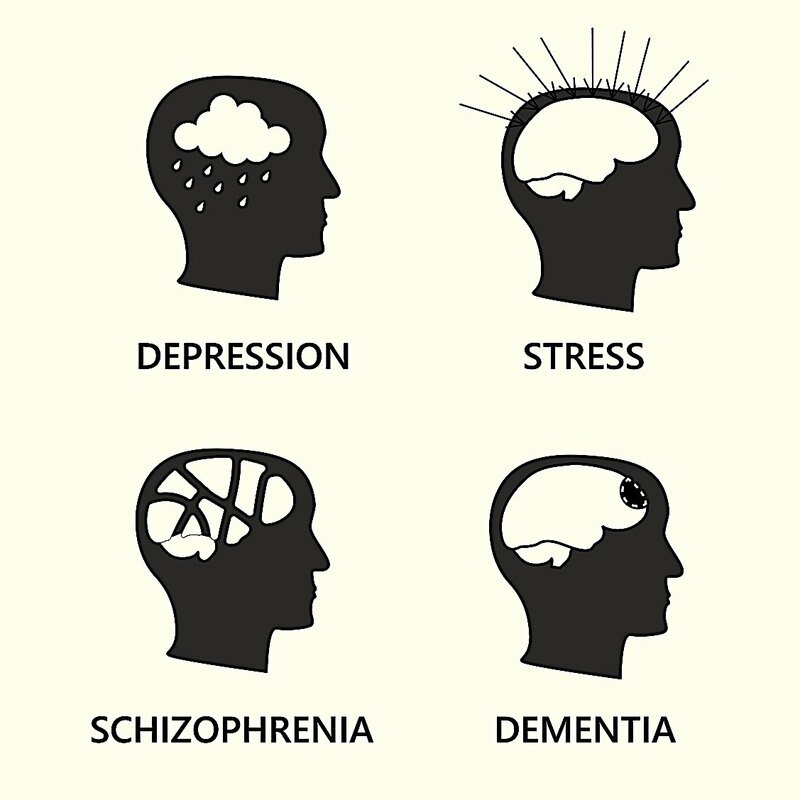 Each particular person who struggles with depression may benefit from a different practice. As I said, there is no cookie-cutter cure. You can also think of this as going on some kind of medication. The health professional needs to monitor if the medication is helping the condition and also whether to increase or decrease the amount of meds or change them altogether. Mindfulness meditation is no different in my experience. I have known persons who practiced mindfulness meditation and the depression deepened where they had to be hospitalized. They felt they had traveled deeper into an abyss. Modified mindfulness techniques in conjunction with cognitive behaviour therapy can be helpful in a lot of cases, but the person must be dedicated to this approach and continue with a qualified teacher and counsellor, usually with their therapist’s guidance. Because each person is different, I would like to emphasize that the words depression, anxiety or addiction, or anything akin to those words, are in Buddhist understanding, pointers to something with vast interconnections and causalities. A Western reductionist approach to finding one cause or cure is from this perspective is based in ignorance. BW: What do you recommend in the case of cognitive decline? 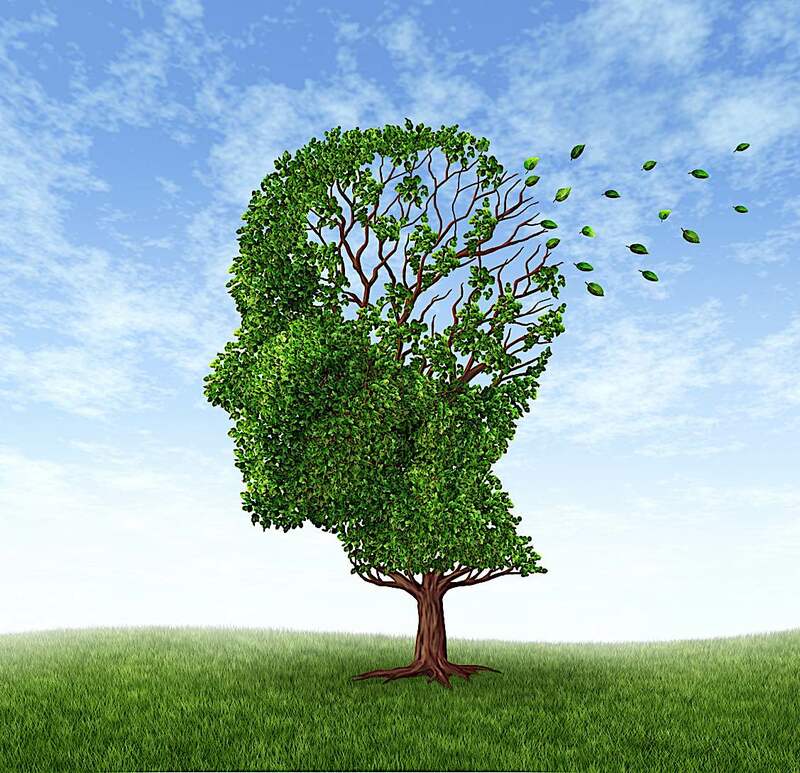 Alzheimer’s, degenerative mind diseases and Parkinson’s. Theodore: Alzheimer’s and things of that nature I think, can benefit tremendously by all forms of meditation and mindfulness. BW: Can you explain why? Theodore: It’s beneficial unless they have psychosis and delusions. If the cognitive decline is non-behavioral — being forgetful, or takes a long time to remember something, or even if there have been physiological problems such as mobility and things like that — meditation and mindfulness are very, very helpful, because what that does, it forces the brain to work, to be invigorated or enlivened. There is a lot of research now about the neuroplasticity of the brain. It’s been shown that these techniques can increase short-term memory and the ability to concentrate. Some studies have shown that meditation can help the production of new brain cells which can slow the process of the dementia. When we do meditation, even Samatha, which is simple breath awareness, with a little mindfulness, what we’re doing is we’re actually giving the brain exercise, so how can that not be good? That is extremely beneficial. BW: I guess that would be early onslaught, which is memory loss, that sort of thing. What about when it starts to get behavioral, which often they do at the later stages? Theodore: It depends what kind of behavioral. If the behavior is non-aggressive or non-threatening, and if it’s not delusional. If it’s behavioral in the sense that they had a mild form of obsessiveness, I think that meditation techniques could still help quite a bit. I’ve read about a woman with late stage dementia who was in a mindfulness group with others dealing with Alzheimer’s. She was agitated and moving her arms. Using this behaviour, she was taught to breathe by raising her arms on the in-breath and lowering on the out-breath. This calmed her. Others are taught to count their steps with mindful walking. Obviously, it requires creativity and modified techniques when working with those dealing with late stage dementia. It will have to be, I guess, case-by-case basis. Actually, this is not something new. Back in 1986, I was the attendant to the great Mahaghosanada for a few weeks and he taught such kinetic techniques to address physical agitation in meditation. I have also heard about caregivers being taught mindfulness practices which then benefits the people they are caring for because they are more relaxed and able to work with more understanding and compassion. BW: Can you speak about the role and responsibility of the teacher in terms of the student with regard to, for example, mental health issues? Theodore: Well, I may be a lone voice but I think people in the midst of struggling with mental health issues, should not meditate without the guidance of a qualified teacher — if at all. From my experience, it is better that they receive help via counselling and medication and be in a relatively good balance before attempting to meditate. Only some traditional teachers are knowledgeable enough to tell their students to see a therapist or take medication to get their mental health in balance before practicing meditation. This is understandable, since traditional teachers generally come from cultures that don’t talk about mental illness or see a different causation for it. There is a vast range of interesting causes from this perspective, such as karma — which in the saying of this word itself, can open up a Pandora’s box for debate. On the other hand, I think we have to be fair and say that we have some responsibility to students who have committed themselves, and who we have at least a preliminary student relationship with. BW: What about when you have a formal teacher-student relationship? With a formal relationship, I think the teacher has incredible responsibility, literally like a parent to child. It may require more intense work for students with a mental health issue. They must be getting the outside care they need and working slowly in conjunction with certain practices, which may not necessarily be a breathing practice. If there is a formal teacher, student relationship, then I think the teacher has to take responsibility in conjunction with the student for the progress and development of that student. The teacher/student relationship, as you know is very, very strong in the Vajrayana tradition, particularly. I think, stronger than a mother to child relationship. There has to be honesty, they have to work together to traverse the terrains of the mind. You know all about it. You have a teacher. I think you understand. Hopefully, a teacher who does have students, formal students, who has taken vows with them, will have insights into the character of the individual, and what they’re dealing with in their lives. From that foundation, the teacher will be able to put just the right pressure, you know, for the student to do some really good work. Of course, the teacher can only offer guidance to the extent the student is honest about their practice and their personal life. We’ve got to be fair there, too, if a student holds back information. It’s like you go to a doctor and you’re too embarrassed to tell him what’s going on with you, right? The doctor is not going to be able to prescribe the right kind of treatment, or the right kind of medication, right? When we say a teacher has a responsibility to the student, the student also has a responsibility to be forthright and an open book with the teacher so they can work on development together. From that perspective, it is the prerogative and the responsibility of the student to keep the teacher up to date on what’s going on in their life, both in their meditation practice, and in their personal life. So any student with a mental health issue must let the teacher know how he or she is responding or reacting in particular situations. As a novice teacher, I have criteria for people who want to start to work with me. Anybody can ask questions and ask for help, of course, but my formal involvement, in terms of guiding people in their life and how to practice in their life, depends on my experience of them — what I know about them. BW: What is the big issue in terms of people who don’t practice formally under a teacher? Theodore: I think one of the issues and complications for people who don’t practice in any kind of formal way, or in a consistent way, whether they have a mental health issue or not, is lack of foundation. Foundation work is the initial preparation of the body/mind to be attentive to the physical, mental and emotional terrain that is revealed from sincere meditation practice. If people are not doing foundation work first with a teacher, then it’s pretty hard for a teacher to be able to assign specific practices, whatever that might be, whether it’s sutra study or Lam Rim, deity yoga, or any kind of structure like that — or just simply mindfulness meditation. In the same vein, a teacher who’s giving a general public class, who might be teaching or doing a public empowerment, for example, really doesn’t have any connection with those attending to be able to determine for them in any skillful way how or what to practice. However, even in public teaching forums, attendees do tend to ask the teacher what they should do. The teacher’s responsibility in terms of the mental health of students — if it’s just a general class where there is, you know, 30, 40, 50 students randomly showing up —is obviously minimal. In saying this however, a general teaching can be either inspirational or confusing, or both if you are fortunate. BW: In a formal teacher-student relationship, since we rely on teachers so much — and it’s obviously very rare — but what do we do when teachers fail in issues of morality and ethics? Theodore: I think Desmond Tutu said something like, “When you see injustice, and you don’t speak up or do something, then you’re part of the problem.” You know? It’s rare or at least I hope it is, but when there is a breach in the morality or the ethics within teacher-student relationships, I think other teachers have a responsibility to speak about that among their peers. I also think it has to be addressed within their Sangha, their students, so it’s not this kind of like nebulous thing in the air that nobody talks about and things go underground. This is true not only in Dharma communities, but in families and in societies as a whole. I think we do a big disservice when we don’t address things that are really questionable, and they have very, very detrimental and rippling effects. In those situations, when things are not questioned, then what happens is the students are faced with a dilemma. The student is trying to make sense of all of it — and they can’t. At one end, they have devotion to the teacher. At the other end, there are morality breaches and ethical breaches that can create dilemma and conflict in the mind. It creates what we call cognitive dissonance. Once this cognitive dissonance grows, and grows, and grows, what happens next is that the student actually loses confidence within themselves to make decisions. And this is totally antithetical to what the Buddha intended and taught. BW: The reason that I mentioned this touchy subject is because, today, we live with social media, and we’re hearing about some rare teachers with issues. Theodore: Yes, it really needs to be discussed and explored. There has been too much silence and ignorance around issues that need to be brought out in the open and dealt with. I also see where confusion and friction are engendered via Western and Eastern traditions and thinking because ethical and moral issues are addressed in a different manner. So, when Western students are being trained in an Eastern tradition with a traditional teacher, there will be differences in the way things are handled. In the east you don’t display your dirty laundry but handle things “in-house”, if you will. If you grow up in the West, there is a different legal system and a different way of thinking about individual rights, equality and community. To use a past experience I had, I had the great honor and privilege to be part of this incredible event called Occupy St. James Park in Toronto in 2011. I was part of … pretty well everything that was going on through the thirty seven days and a couple of things I noticed during the open public forums was that people with mental health issues would be disruptive to the point that very little could get done and in the social media coverage of Occupy, people, generally trolls, made very negative comments about Occupy— some with a deep degree of vileness and vulgarity. Even though it was a leaderless movement, there was a lot of leaders. You know, there were just leaders, natural leaders that arose, and so we discussed what we’re going to do about the disruptions during the forums and about the trolls behind the nasty comments and the majority voted to do nothing about it. I disagreed. They felt that everybody had a voice. You know, the anarchist movement as a whole is a noble idea, but in terms of a functioning operation for society to look after itself, it has some serious building flaws — at least in my opinion. When we look at social media, there’s a reflection of this as well because there really is no accountability or gatekeeper for social media and lots of misinformation is disseminated. I think everyone being heard is a good thing, but there has to be wisdom and skillful choice. But when nothing is said or done about unskillful behaviours or conditions, confusion can result and precise direction of movement is impossible — no matter how sincere the motivation — and our silence now becomes part of the disease. I use this story to illustrate the point about the “rare teachers with issues” meaning those teachers that act in ways that are detrimental to their students and/or themselves. When we do or say nothing, we can perpetuate the harm — and I think Occupy was ultimately harmed by this type of dynamic, as are families, society, members of a Sangha, students and the teachers. Buddha was very, very clear about not creating disputes within the Sangha yet I don’t think he said that when we see something wrong and harmful that we’re supposed to keep quiet. The Buddha implores us to pay attention and listen — to listen to our own logic and reason. I think what he said was, “You need to be skillful.” Skillful. You need to reflect what you’re about to say, what you’re about to do, you know, reflect first on the good that it will do and the harm that it will do. Is it true? Is it kind? Is it helpful? Is it timely? From a Buddhist perspective, if you take meditation seriously and practice diligently, you will inevitably come against two opposing forces or narratives. At this point, a teacher’s job is not to try and rescue you but invoke confidence in you by their skillful presence for you to be able to do the work. If you do not have knowledgeable guidance, you will not know where to put your faith and trust. BW: When should a student question a teacher’s methods? Theodore: When the teacher all of sudden does things that are contradictory, then the student, rightly so, must question the contradiction and validity of the example and teaching. Theodore will be offering two additional practice sessions and talks during the upcoming Medicine Buddha retreat in Owen Sound. For more details on his talks or the event please visit the event page. Theodore Tsaousidis has been practicing meditation and psycho-spiritual healing for the past forty years. Born in a rural community in Greece and immersed in a tradition of healers, he has always been innately connected with nature and spirit. His healing and shamanic teachings include those in the Tibetan Vajrayana Buddhist tradition. He continues to this day to study and train formerly under a teacher in both Zen And Tibetan Buddhist traditions that began In 1983.Theodore offers meditation and healing workshops and retreats in the Toronto and Owen Sound areas. Many thanks to Buddha Weekly for producing this interview and sharing it with the community. The original posting can be found here.